My Gurudev takes care of everything! I am writing in this amazing Guru Story as it just revealed itself a few minutes ago! And it proves how Gurudev takes care of everyone and everything….. literally EVERYTHING!! I am a student at the Tata Institute of Social Sciences, pursuing my MBA in HR. I have a friend who had taken admission in another Masters Degree course in the same institute, but had an intense desire to join the Air force. She had applied for the Air force and had cleared the written exam and the physical training and obstacle course. Yet, at the last reporting point, she got disqualified as she was overweight by 7 Kgs and was asked to return after 1 month – that is, IF she could manage to lose all the extra pounds !!!!! Here I must add that SHE HAS NOT DONE ANY OF THE ART OF LIVING COURSES and just knows Gurudev because of his pictures. Now she was undergoing a very nervous and testing time at college as she had to prepare and appear for college exams and at the same time – focus on losing the extra weight if she were to have a chance at getting her dream! She tried every conceivable dieting trick, exercises and yoga asanas, but to little avail. She was getting more and more nervous by the day, and would cry when she called me up regularly. She then came to a point when she would break down mentally. I met her one evening and gave a picture of Gurudev that I always keep in my wallet. I told her to POUR ALL HER WORRIES and just talk to Gurudev´s picture whenever she felt she was in the grip of worries and tension. I also transferred some of Gurudev´s pictures from my cell phone to hers. Finally the D-day came and she had to appear in Delhi for the final examination, which would decide whether she could it make it through or not. And LO AND BEHOLD!!!!! Our Guru´s GRACE!!!!! Within minutes, she was cleared by the authorizing officer and out of 15 candidates who reported, ONLY SHE CLEARED THE RE-TEST AND GOT THROUGH HER DREAM OF BEING IN THE AIR FORCE !!!!! She made the first call to me and was overwhelmed with Gratitude. 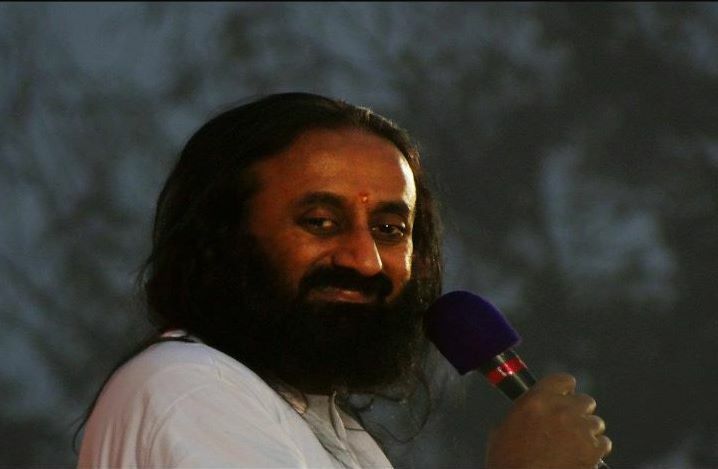 Words fall short to express my gratitude to Gurudev….. HOW MUCH HE TAKES CARE OF EVERY LITTLE THING…. SO MUCH GRACE AND ABUNDANCE!!!!! Even for one who has not done the course, he took so much care! Even for one who has not done the course !!!! 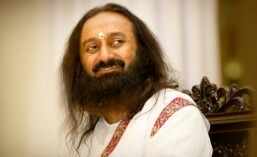 I am so grateful to you Gurudev!!!!! You make my World!!! !